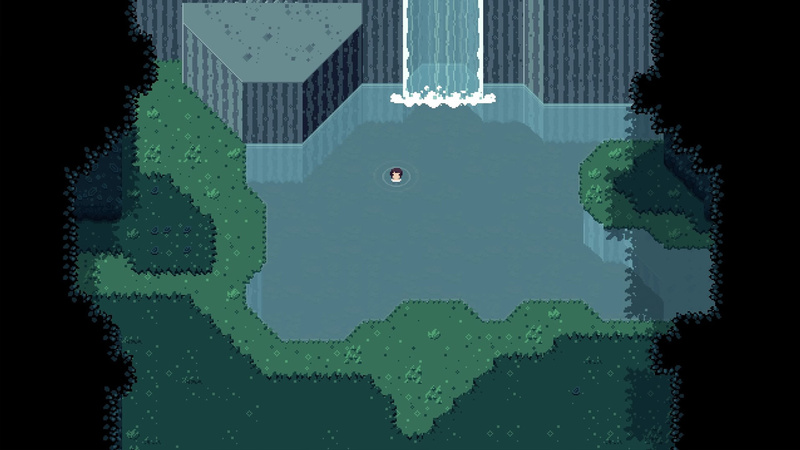 The game opens up with you as the lone hero waking up in a strange and mysterious world, beautifully rendered in a serene 16 bit art style. How you got here and what your overall objective is, are unknown. As you take your first steps you are given your only real tutorial, teaching you the basics of the controls and then you are on your own. After a bit of experimentation you shoot your one and only arrow into the door that is barring your way. Connecting with what looks like an eye embedded in the door puts an abrupt end to your introduction phase as beyond this door is your first battle against a titan. It doesn’t take long to realize that the only truth in this game is that it’s one hit to kill, one hit to die. For anyone who has ever played Shadow of the Colossus, this game will bring back fond memories of being alone in a world against the Colossi. There are no other enemies in the game, only the Titan bosses. Each one has a completely individual design and features a unique set of moves as well as a particular strategy to defeat them. Unlike Shadow of the Colossus, which gave you an upgradable health bar, you are only granted a very unforgiving one hit point. Life and death are only separated by a single misstep which makes the game feel as though Shadow of the Colossus and Dark Souls had a 16 bit child. There is no way to describe this game other than gorgeous. The vibrant colors, the scale of the world and the little details in the texture all work wonderfully together to completely immerse you in the strange land that you are exploring. 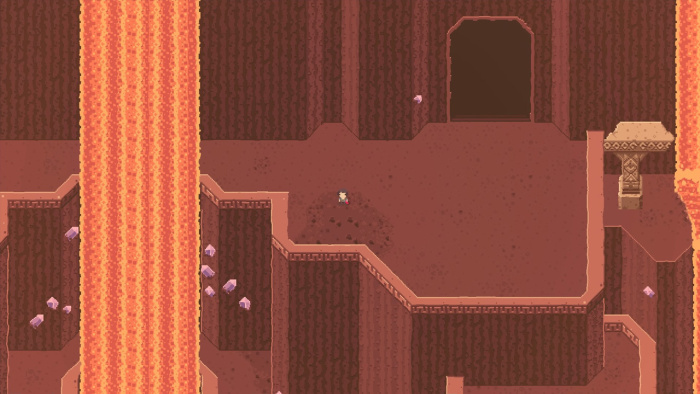 I am always amazed with how such a small amount of pixels can go such a long way to give a landscape shape, create contours and establish depth. This is a prime example that you don’t need amazingly rendered graphics to tell a story in a beautiful world. The soundtrack serves as the perfect complement to the tone that the game is trying to establish. Somber tracks are used to reinforce the feeling of loneliness in the wilds and during fights the more upbeat melodies add to the sense of panic and desperation. The pairing of the music with the punishing nature of the world causes you to truly question the motivations for the characters struggle. It is as if there is a deeper meaning beyond the surface and a real reason behind why the Hero continues forward against the Titans. If the regular difficulty isn’t tough enough to keep you satisfied there are a few other modes for the true masochists. Iron mode only gives you one life so you that you are forced to finish the game without getting hit at all while No Run/Roll mode takes away your ability to avoid getting hit. These modes add some much needed replay to a game which depending on your individual skill is not terribly long. 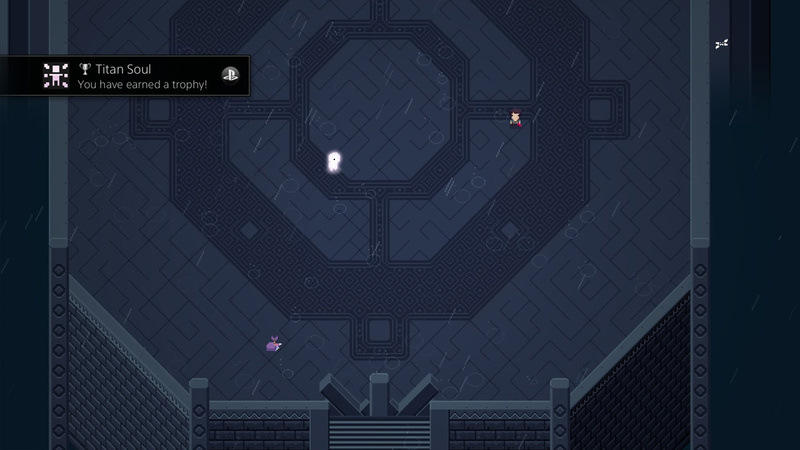 It’s safe to say that Titan Souls is not for everyone. If you can’t handle dying in the first few seconds of an encounter and then continuing to die over and over again while you figure out just what to shoot at what exact moment, then it’s probably best to avoid this game. 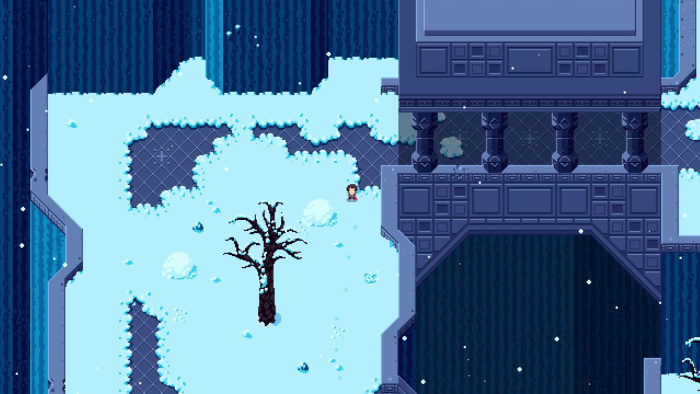 However, if you are not intimidated by the difficulty and welcome a challenge then you’ll be in for a fantastic time exploring a beautiful and lush landscape while a haunting soundtrack plays, making you question the larger existence of a soul. Fans of either Shadow of the Colossus or the Souls games should not hesitate, this is a must have at its budget price. Those on the fence would do well to wait for a sale and pick it up then.